Road Pickle Motorcycle Bohemia Traveling the USA Now! Pausing from Strats for a moment to talk about Road Pickle Motorcycle Bohemia (roadpickle.com). 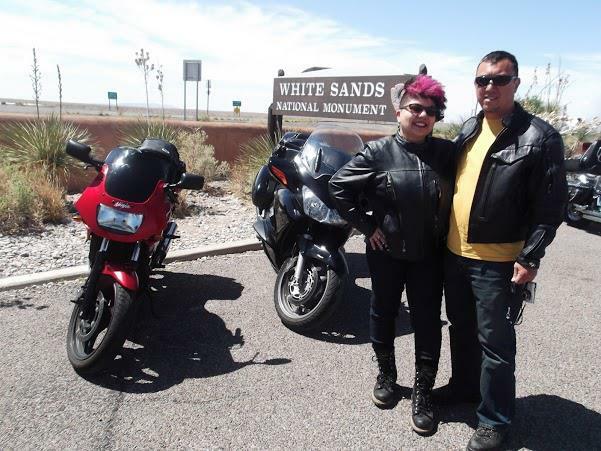 My friends "Highway & Sash" are on a 6 month motorcycle journey throughout the USA. Right now (6/25/13) is only Day 60 or so. Highway, who I've known for a few years, is a serious beer connoisseur, bike rider and blog/social media/web entrepreneur. The two, along with "Asphalt Annie" their biker Barbie doll mascot, are traveling Anthony Bourdaine-style, and really experiencing local cultures first hand, with adequate tastings of fine (or not) regional craft brews, as available, to wash things down. So this isn't merely a tourist trip or some kinda Guy Fieri wing ding fling. Each day, they're meeting real folks, posting reports and pics, along with occasional videos regardless of heavy weather or the occasional beer soaked laptop mishap. Road Pickle is evolving into a handy reference for any traveler wanting to avoid the interstate fast food cookie cutter experience, and discover what's really happening along the American roads. Starting from San Diego, they've thus far covered the Southwest; exploring Tucson, Tulsa and various wide spots in between, followed by adventures in Arkansas and at the moment-- Memphis!